Organic control: Physical removal of webs. Vacuum often and spray problem areas with orange oil products. Freeze boxes of infested papers for forty-eight hours. Use diatomaceous earth indoors and outdoors and boric acid products or plant oil products such as Eco-EXEMPT indoors. 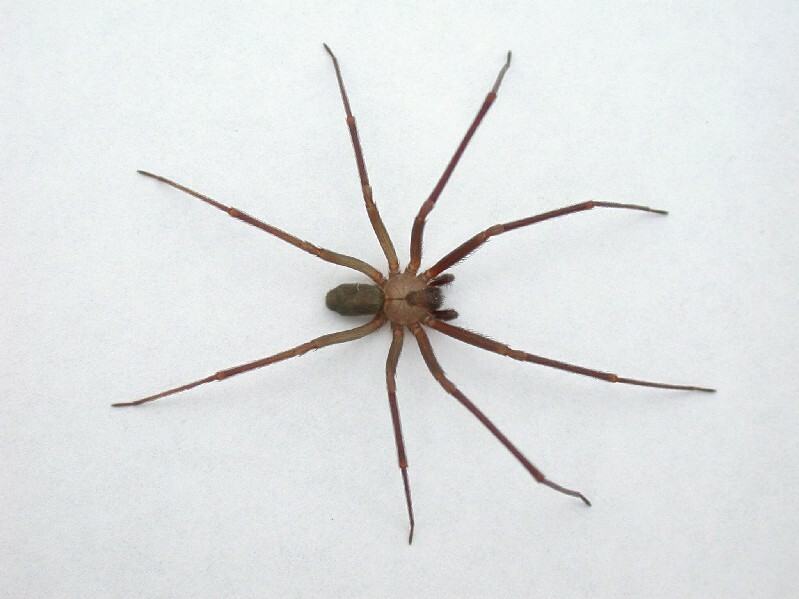 One of my listeners sent an interesting report on brown recluse spiders. She has been trying to control them for 15 years and discovered that a similar looking spider actually kills the recluse. The good spiders have no fiddle on the back but do have black knobs at the joints of the legs. This report is apparently about the spitting spider. 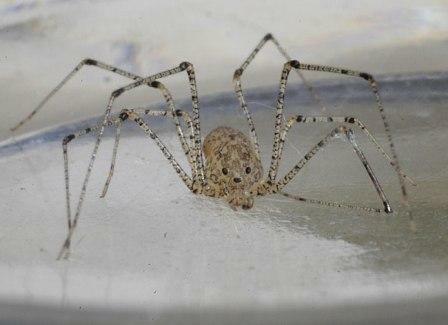 Range: The brown recluse spider and ten additional species of Loxosceles are native to the United States. In addition, a few non-native species have become established in limited areas of the country. The brown recluse spider is found mainly in the central Midwestern states southward to the Gulf of Mexico (see map). 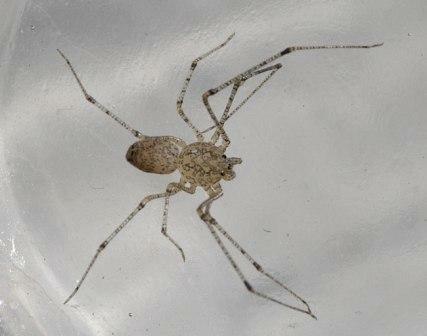 Isolated cases in Ohio are likely attributable to this spider occasionally being transported in materials from other states. Although uncommon, there are more confirmed reports of Loxosceles rufescens (Mediterranean recluse) than the brown recluse in Ohio. It, too, is a human-associated species with similar habits and probably similar venom risks (unverified). The physical reaction to a brown recluse spider bite depends on the amount of venom injected and an individual's sensitivity to it. Some people are unaffected by a bite, whereas others experience immediate or delayed effects as the venom kills the tissues (necrosis) at the site of the bite. Many brown recluse bites cause just a little red mark that heals without event. The vast majority of brown recluse bites heal without severe scarring. Initially, the bite may feel like a pinprick or go unnoticed. Some may not be aware of the bite for 2 to 8 hours. Others feel a stinging sensation followed by intense pain. Infrequently, some victims experience general systemic reactions that may include restlessness, generalized itching, fever, chills, nausea, vomiting, or shock. A small white blister usually initially rises at the bite site surrounded by a swollen area. The affected area enlarges and becomes red, and the tissue is hard to the touch for some time. The lesion from a brown recluse spider bite is a dry, blue-gray or blue-white, irregular sinking patch with ragged edges and surrounding redness--termed the "red, white, and blue sign." The lesion usually is 1½ inches by 2¾ inches or smaller.